The annual migration of the mining industry to the seaside delights of Cape Town and associated talkfests such as the Mining Indaba conference was trumped this week by the return of iron ore as a hot commodity. But in South Africa there were hints of something equally interesting as an Australian base-metal stock started to get the recognition it deserves. 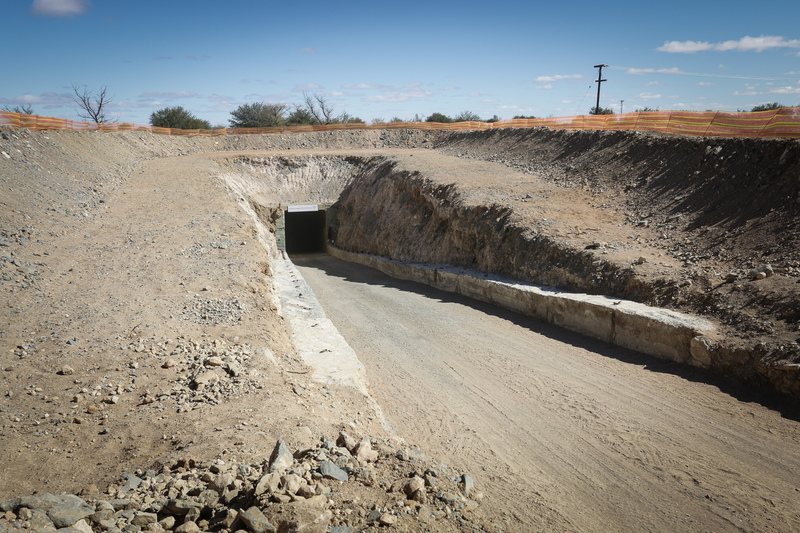 Orion Minerals has been beavering away for several years with a brownfield zinc and copper project in the remote Northern Cape Province, earning scant reward on the stock market for its patient shareholders – until now. While still a minnow in a country best known for its big miners, Orion has staged a handy share-price recovery as it shakes off the debilitating effects of a stock overhang from a capital raising and acceptance that it might be a trail blazer for a new area of South African mining. A closer look at Orion in this week’s diary is a worthwhile exercise because one company, which is listed on the Australian and Johannesburg stock exchanges, is a case study of South African mining and the drive to kick-start a small mining company culture in a country which has never had one. Over the past five trading days, Orion’s share price has risen by around 30%, up from 2.2c to 3c as investors develop an understanding of what the company is doing at the Prieska mine, a project once rated as world-class but closed in 1991 after 20 years of profitable operation -- and not because the ore had run out, a lot was left behind. A factor in Prieska closing early was the challenge of doing business in the old South Africa, a time when it was cut-off from the rest of the world in multiple ways, including access to international capital, whereas it’s the promise of the new South Africa which is playing a role in Prieska’s planned redevelopment. Visiting the old mine as a guest of Orion just before the Mining Indaba conference started to put the project into perspective for me, with an initial re-action being that if it was in Australia it would be rushing towards a re-start. That Prieska is not in Australia is blindingly obvious, but Orion is Australian managed and with that comes a mindset which is focussed on mechanisation, automation and the efficiencies which come from employing a workforce of several hundred compared with the 4500 during the original mining campaign. Frequent changes to the mining laws in South Africa have not been investor-friendly, nor has there been much interest among local investors for exploration stocks, largely because looking for orebodies was historically a game played by the majors and land access was difficult. Orion has been ticking off the boxes as it shows how a small company can explore, especially a brownfield project in a remote and thinly-populated part of South Africa, how it can work with the government and how it can use the evolving rules at the Johannesburg Stock Exchange to become a leader of the embryonic small mining sector. There is a lot more to be done before Prieska can be re-born but a scoping study released just before Christmas showed how it could become a handsomely profitable project yielding 70,000-to-80,000 tonnes of zinc a year, plus 22,000t of copper over an initial 10-year campaign. To get there Orion needs to invest between $A300 million and $A330 million to refurbish the major pieces of infrastructure at the site, including a big concrete headframe and haulage shafts which are in good condition. A bankable feasibility study is underway and a financial adviser appointed. The different parts of the exercise expected to come together towards the middle of the year with investors most interested in whether there will be any variations on the scoping study which pointed to an attractive 38% internal rate of return and annual free cash flow of around $A130 million. If all goes well, Orion shareholders will have plenty to celebrate. But it goes a lot further than that because if Prieska is brought back to life the entire South African mining industry and the country’s capital market will be shown a new way of doing business. For Australian and Canadian investors, the idea of a small company developing a reasonably big mine is not new, but it is in South Africa. Perhaps more importantly, success at Prieska will re-launch the exploration sector which has shrunk to the point where a country which is home to some of the world’s biggest mines now attracts just 1% of global exploration dollars. The land around Prieska itself is a prime example of what might happen as the latest geophysical tools are applied, such as high-quality airborne magnetics which can pinpoint targets and early-stag drilling returns positive results. Orion was not the only Australian company marketing itself at the Mining Indaba conference and at alternative events such as the 121 conference. Also making news in Cape Town was the new chief executive of Barrick Gold, Mark Bristow, who told delegates at Mining Indaba that more takeovers in the gold sector are on the way, and comments from his predecessor at Barrick, Kelvin Dushnisky, who is now head of AngloGold Ashanti, who said that exploration was the way to go with less focus on mergers. Elsewhere, the big news among ASX mining stocks was the return of iron ore as a sector leader after dam bursts and deaths in Brazil rocked that country’s iron ore industry and triggered a sharp increase in the price of the steel-making material. Fortescue Metals has been the biggest winner from Brazil’s problems. with its share price surging to a 12-month high of $6.32 yesterday, up around 40% in a month and more than 60% over the past two months. It closed at $6.12. Gold was also back in the news, though more because of a sharp fall in the value of the Australian dollar which turbo-charged the local gold price. In US dollar terms, gold held at slipped to around $US1303 an ounce, while a currency shift to US71 cents saw the Australian price at $A1835/oz – edging closer to that magic $A2000/oz mark. Copper stocks, including Sandfire and OZ, had a good week after Citi, a leading investment bank, forecast a 10% increase in the copper price over the next three months thanks to Chinese demand being stronger than expected. Sandfire added around 8% to a high of $7.54 before closing yesterday at $7.31 and OZ was up 5% to $10.27 at one stage before closing at $9.56.